Saving up for a new home can sound like a daunting task, especially in today’s housing market when rental payments are often higher than mortgage payments. 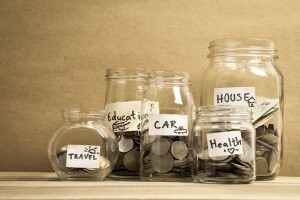 But for those who truly desire to own a new home and are wishing to save up, there are some easy swaps that could quickly add up for someone dedicated to creating a nest egg. Here are some easy cuts to help you get on the budget track. • Change Out Cable for Netflix & Hulu – Unless you work from home and need a dedicated home phone line and cable internet access, cable almost always ends up eating a huge chunk out of the average american’s monthly budget. With bundled packages, it may seem like a deal but cutting cable for a low cost internet provider and then adding on Netflix and Hulu for a grand total of $17/month can save anywhere from $100 – $300 per month. With savings like that you can be well on your way to saving thousands a year with no other changes. • Change How You Drink Coffee – The average American spends between $1,000 – $1,500 per year on coffee thanks to drive-thrus, promotions and bonuses. And if you are caffeine addict the number may be much higher. No one is saying cut the coffee, just the spending. Start by purchasing coffee in bulk and purchasing a $5 reusable KCup on Amazon. Whether you have a machine at the office or at home, a reusable Kcup with your own coffee and skipping the store lines can save up to $500/year!